Yarrow stalks are used in the I Ching as a divination tool. Millefolium means “thousand leaf” and the finely feathered leaves of this perennial suits the name very well. 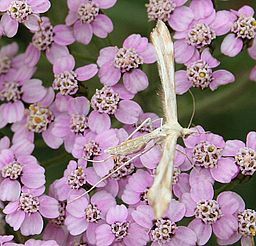 The pale grey-green stems of Yarrow are tough and normally grow to 30cm, but can reach up to 1m, bearing masses of small white to pink flowers in early spring to late autumn. 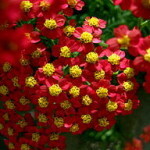 Other flower colours such as orange-red (‘Paprika’), magenta (‘Cerise Queen’) and lilac-pink (‘Lilac Beauty’) are available as cultivars. 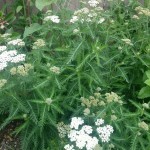 Yarrow is fully hardy and grows best in a well drained soil and a full sun position. 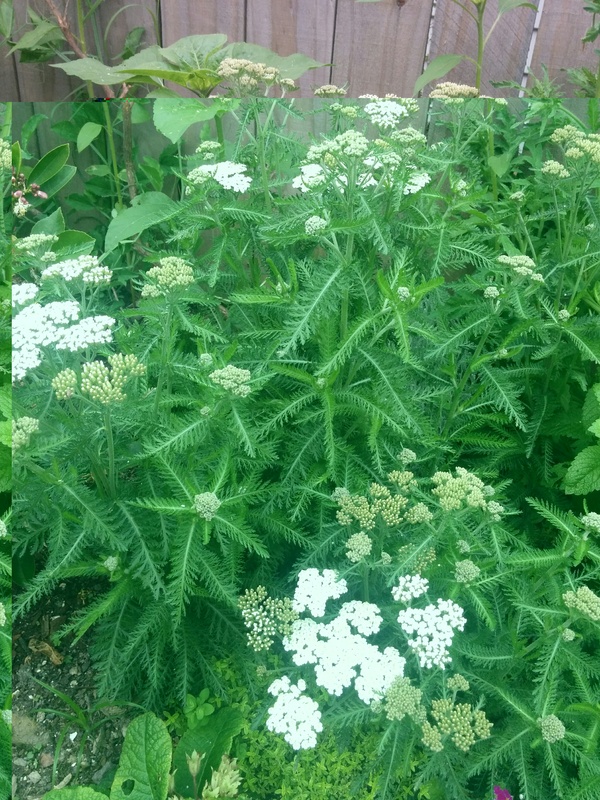 Note – Yarrow can become invasive if not kept in check. 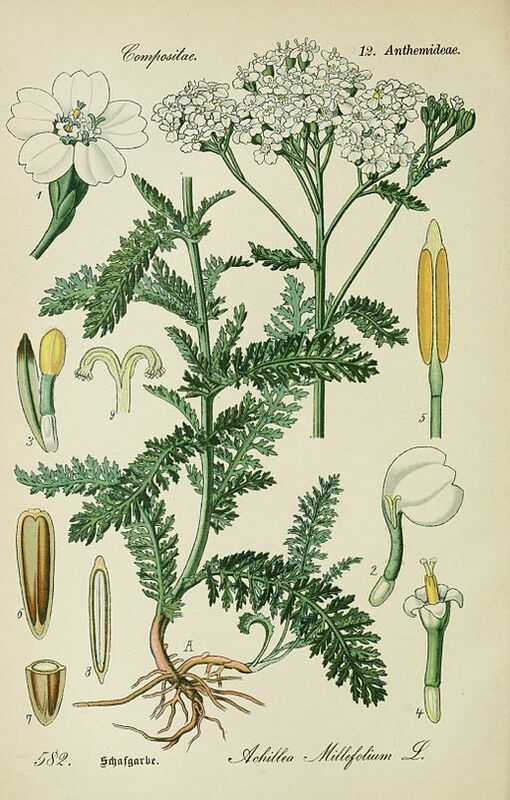 Yarrow is a plant doctor, similar to Chamomile, and is said to revive or strengthen ailing plants in its vicinity. 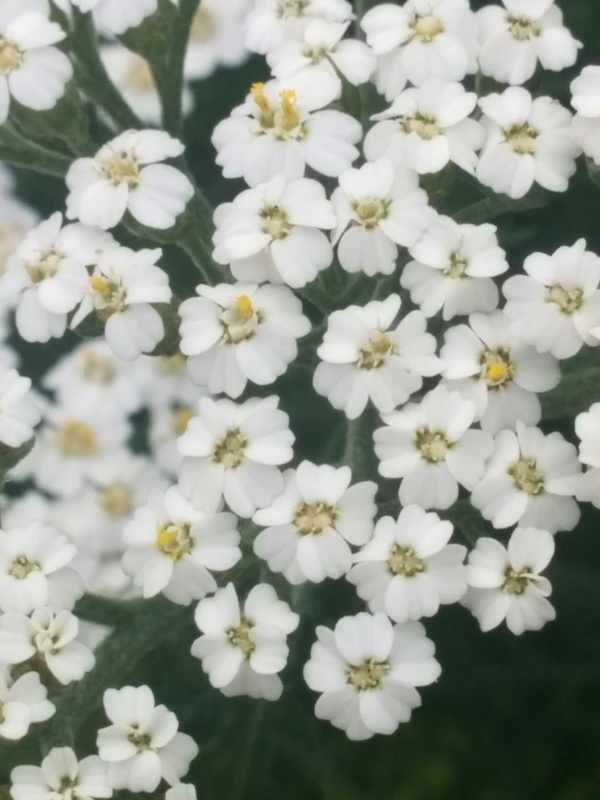 The flowers of yarrow are attractive to beneficial insects such as hoverflies and ladybirds. Although it is good planted with almost anything, it is particularly suited to aromatic plants, fruit trees and grape vines. 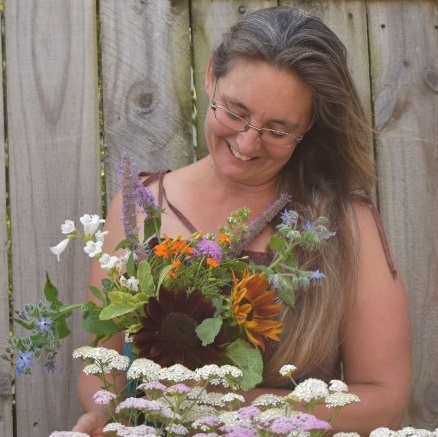 The leaves and flowering tops are harvested in summer and dried. Culinary: The fresh young leaves can be added to salads in moderation. 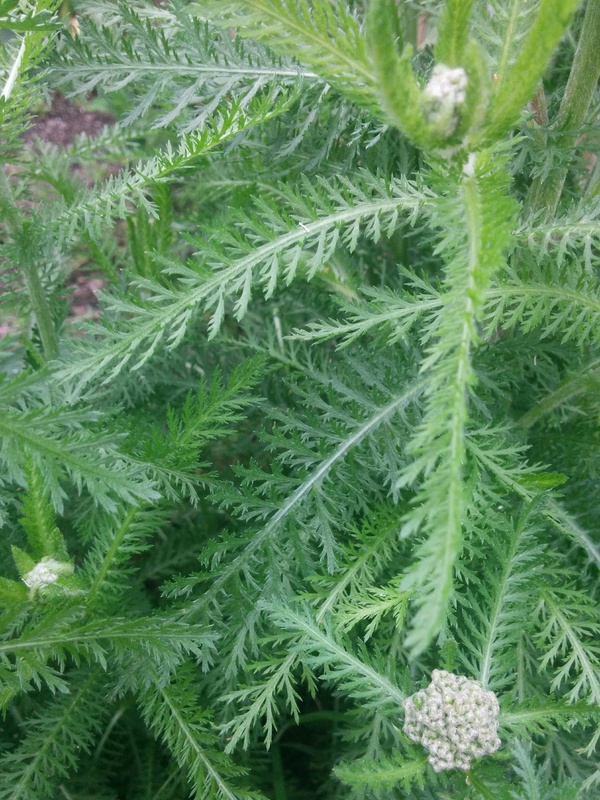 Medicinal: Yarrow works exceptionally well as a tea for feverish illnesses, such as colds and flu. 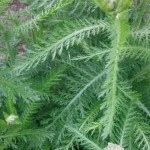 It has also been indicated as an effective herbal remedy taken internally for arthritis, rheumatism, hypertension, diarrhea and menstrual complaints. As a quick first aid, crushed leaves are said to staunch blood flow and can be used for cuts, grazes, scrapes and nosebleeds. 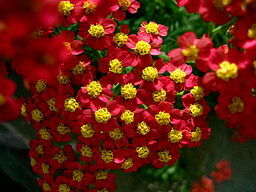 Household: Yarrow flowers are long lasting and are often added into bouquets, or dried flower arrangements and pot pourris. The leaves are also useful as a copper rich fertilizer which can be used as an antifungal spray on leaves for powdery mildew. A few leaves added to the compost is also said to speed up decomposition. 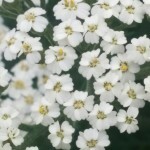 Prolonged use of yarrow may cause rashes and increase sun sensitivity of skin. Not to be used by pregnant women. Taken in too large doses, it may cause headaches and dizziness.